Trading Places, by Adèwàlè Adènlè. 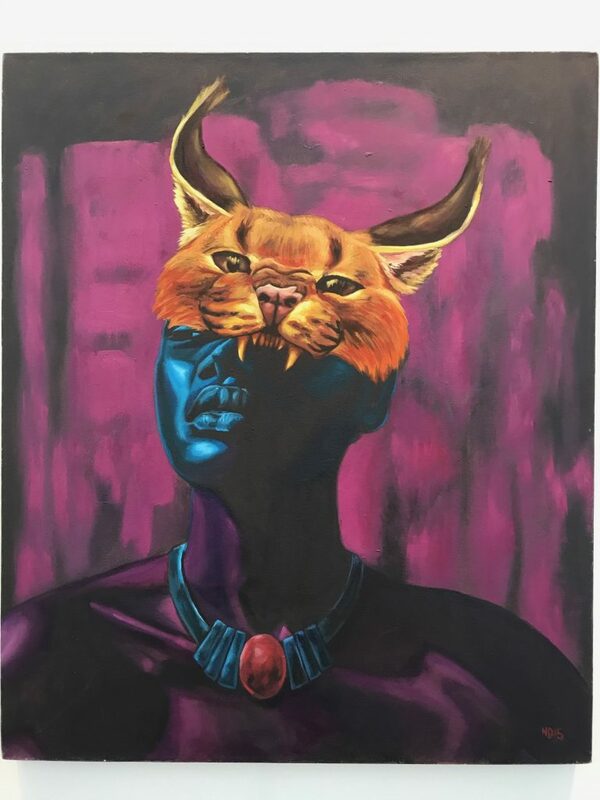 In a celebration of African-American History Month, an art exhibit called afrique is now on display through Feb. 18 at the new Pompano Beach Cultural Center. The exhibition spotlights the works of artists from Africa, Haiti, Jamaica, Puerto Rico and Florida, among them Vladymir Acoloque, Adéwálé Adénlé, Nate Dee, Teeyah, Daniel Garcia and Ruben Ubiera. Swart said afrique examines the community that embodies the city’s unique identity by celebrating the pillars who have made it their life’s work to bring attention to injustices in the world. The exhibit is a journey to discover the ancestors that came before, and what made them the prolific community figures they were. Tribal Noni Caracal, by Nate Dee. Adéwálé “Wálé” Adénlé, whose paintings and drawings evoke sociopolitical discourse in his Nigerian homeland and his adoptive U.S. home. Nathan Delinois (Nate Dee), a native of South Florida, draws on his Haitian background for his work, particularly the use of color in much Haitian art. Ruben Gerardo Ubiera Gonzalez, born in Santo Domingo, Dominican Republic, is a neo-figurative artist who works with reclaimed objects and found artifacts. Boca Loca, by Daniel Garcia. Daniel Garcia, a native of Miami Beach, born to parents from Puerto Rico. He grew up in Wynwood, now known as the Miami Art District. Carl Juste, a Haitian-born, Pulitzer Prize-winning Miami Herald photojournalist, showcases dramatic images that have won him numerous awards. Asser Saint-Val is a Haitian-born painter, sculptor and installation artist. Teeyah, who was born in the Haitian capital of Port-au-Prince, began to paint after the 2010 earthquake, in which she lost her mother and many friends. 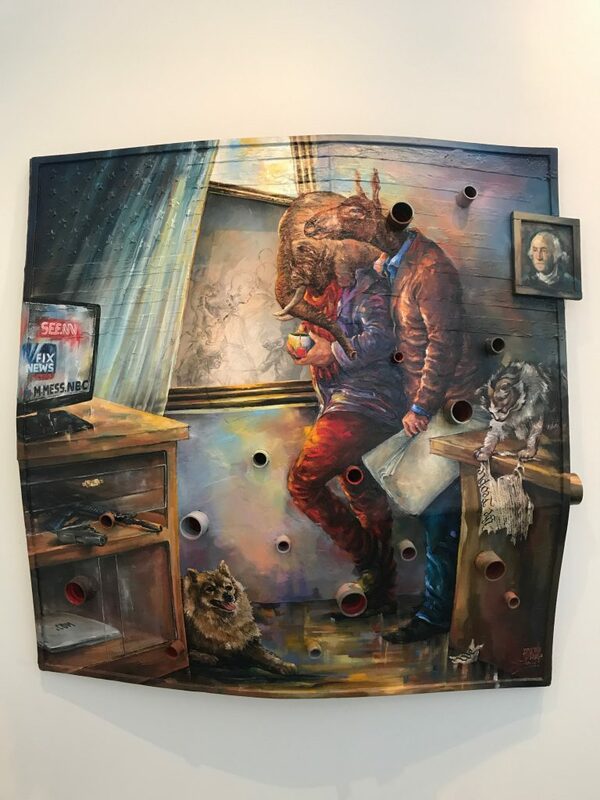 Vladymir Acloque, also born in Port-au Prince, is a Miami-based multimedia artist whose disciplines include pointillism, sculpture, spray, oil and acrylic painting. 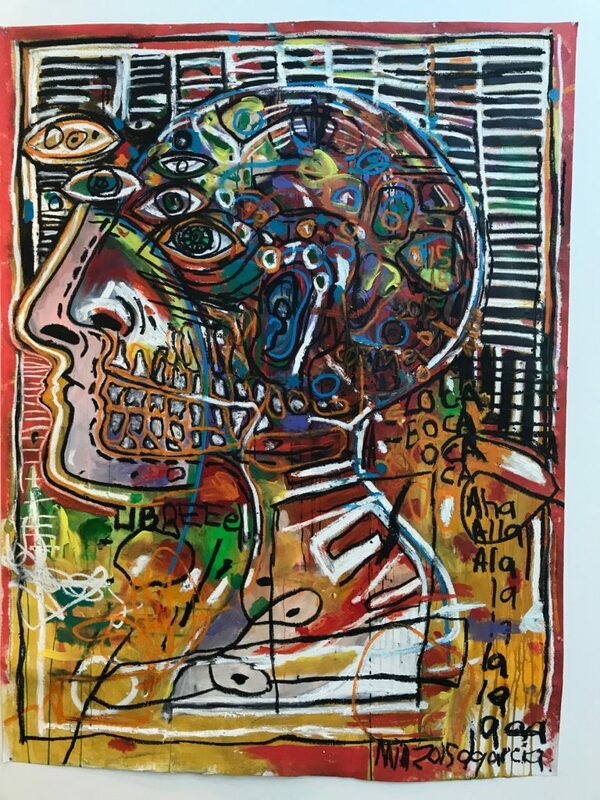 AFRIQUE, a display of works by artists from Africa, the U.S. and the Caribbean, runs through Feb. 18 at the Pompano Beach Cultural Center, 50 West Atlantic Blvd., Pompano Beach. Gallery hours are Monday-Friday, 10 a.m. to 5 p.m. The display is free and open to the public. For more information, visit www.ccpompano.org or call 954-545-7800.